This is an oldie from the files, but as true now as it ever was, showing how it’s important to pay close attention when Adcoms give tips because they do tell applicants everything they need to know. Below are extracts from an interview with Dee Leopold Executive Director of MBA Admissions and Financial Aid at Harvard Business School, published at the time in the Boston Globe. It’s low on the usual blah, and high on real guideposts for meeting Adcom’s expectations and beating out other applicants — and everything here is true of other elite b-schools. 1. Guiding selection principle is: leaders who will make a difference in the world. Now this could be a platitude, but it’s not. They really mean it. It can be any difference, but it must be some difference. If you’re just going to be another banker or another consultant or another PE portfolio manager, or even just another venture capitalist or entrepreneur, that’s not making a difference in the world. You can be any of these things, or something else, but how will you leave a different world behind you? 2. Qualities sought are: curiosity, initiative, sense of purpose, energy, self-awareness, a real sense of others, an ability to engage in a community, a moral compass, ‘givers’ rather than ‘takers,’ not bystanders but active participants. This is not a full list, but it’s a great starting point for an application platform. 3. Transformational experience of the (HBS) MBA, and who appears receptive to it. As Leopold says: ‘Do you want to possibly have your plan completely turned around, find out things that you didn’t even know were possibilities for you?’ (This is why the HBS goals essay is optional, because they want to significantly expand your horizons!) If you are not ready for transformation they don’t want you. What does HBS look for in its candidates? Our mission is to educate leaders who will make a difference in the world. So we’re driving back to that guiding principle. We’re looking to compose a class of talented leaders who come from many different backgrounds but share some common qualities. And those qualities might include curiosity, initiative, sense of purpose, energy, self-awareness, a real sense of others, and an ability to engage in a community, and a moral compass that points true north. What kind of candidates do you actively avoid? Think of the qualities I described, and think of their opposite. We want people who can come here and believe that they are as invested in their classmates’ learning as they are in their own. We’re looking for people who, over the whole course of their lives, have been givers versus takers, who are not bystanders but active participants. 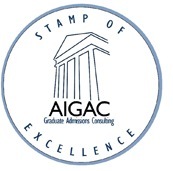 Some applicants hire admissions consultants to try to game the system. Can you detect an application that’s written by an admissions consultant? The written application is only one part of our process. We start with a written application, but we interview every applicant who is ultimately admitted. So we are not reliant only on a written application. I think we’re in a culture now where consultants are hired to do a lot of different things. We understand that some people – particularly those who do not work with people who have gone to business school, who do not have expertise in this admission process – we understand that seeking out advice is natural. But there is no such thing as a reputable consultant who will write business school applications. If a young executive is already on the corporate fast track, do you recommend that he or she come to Harvard Business School? If they’re thinking about Harvard Business School, which is truly a transformational experience, I’d ask that person: Do you want to be open to that change? Do you want to find out different ways of doing things? Do you want to possibly have your plan completely turned around, find out things that you didn’t even know were possibilities for you? What do students learn at Harvard Business School that they can’t learn at a Wharton or a Stanford? I’m only speaking from a point of expertise about Harvard. It’s where I went to school, so I’m speaking as an alum and also as an admissions director. The case method, which is our pedagogy, is truly distinctive. We’re educating leaders to be effective. Leaders operate in gray areas. It’s not about the specific analytical tools you have in some imaginary toolbox. It’s developing the judgment to know which tool to use when, to be comfortable in uncertainty, to be able to make decisions day in and day out with imperfect information, not enough information, never enough time, and to be able to take a stand and to be able to communicate it to others and to bring people along with you. It’s a promo for the HBS MBA of course, highlighting its main point of distinction: the case method, which, according to HBS creates “special moments that pull everything we have learned into focus. When theory, practice, experience and talent all come to one sharp point — a decision.” And so on. 1. It is good insight into how b-schools work and think, that is, background on the culture and attitudes at play, including overall assumptions and ethics. This point to what is expected of the next class too, and therefore what HBS Adcom is looking for when it accepts or rejects. 2. It is a view into the dynamics of the business school classroom, and the requirements of individual and group-based learning. The MBA applicant well-positioned to work in this way, is well positioned to be admitted. 3. It is exposure to the case method of teaching. 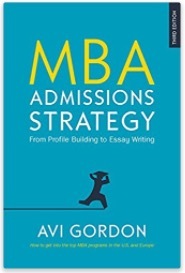 HBS is “ground zero” of the case method, but actually almost every school uses cases to a significant degree, so it is useful for understanding all b-school pedagogy, and therefore what makes sense to say to enhance admissions prospects. Footnote: the case method has been under some scrutiny, and voices have been raised that Harvard did not adequately prepare its graduates to assess risk / business failure (ref the 2008 recession and fallout). See sample stories in Forbes and Bloomberg News. But, to me it doesn’t look like HBS or the case method was more at fault than any other elite school or any other teaching approach was (or wasn’t). How HBS Writes. Write Like That. Have a look at the message Dee Leopold, MD of Harvard Business School Admissions, sent last month to HBS R1 applicants. The mail confirms receipt of application (heading off the inevitables who call to ask “did you get my application?”) and gives a brief description of the way forward. This message confirms that you’re a Round 1 HBS applicant. All of us here on the Admissions team are pleased that you’d like to be a student here. Let me tell you what will happen next. Within a day or so of our Round 1 deadline, we begin to review all submitted applications. We have a senior team who reads and makes decisions as to who moves forward and who doesn’t. “Moving forward” means being invited to interview. We expect that interview invitations will be issued in early October. Interviews will be conducted from mid-October through November. All of the necessary details will be in the invitation. “Not moving forward” means that we are unable to admit you. We want you to be able to move ahead with other plans so we will send these decisions out in October. Some Round 1 applicants will be asked to remain under consideration and be reviewed again with Round 2 applicants. We call that “further consideration” and the details will be communicated to this group in mid-October. You get the difference. If you don’t believe me, believe Dee: it’s not only fine, it’s good to write simply and unpretentiously, as you would normally talk. Mind that you don’t fall overboard into slang and half-sentences. Just be practical and personal, using words and phrases you would normally use, and you will get it right.